Members of the International Advisory Board of King Abdulaziz University held discussions on January 29, 2011 to work out ways of bettering KAU’s scientific research capacity. The meeting, which was attended by KAU President, HE Prof Osama S. Tayyeb, was within KAU’s efforts to establish itself as a world-class institution by drawing on the expertise, views and advice of well-known international academics, intellectuals and professionals who have achieved distinction and prominence in higher education, science, research, industry and public service. 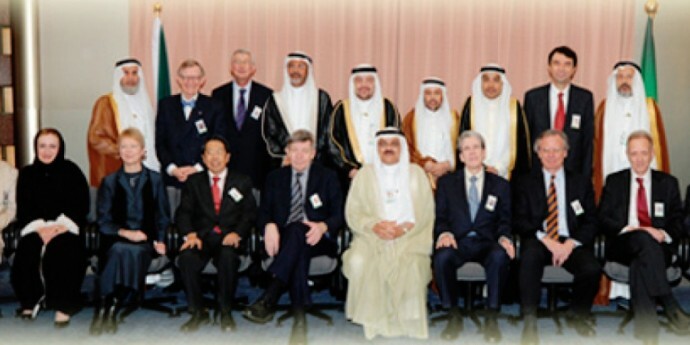 The formation of the Board was triggered by the need to keep pace with the latest academic developments, expand cooperation with prestigious national and international academic, research and industrial institutions, as well as maintaining KAU’s local and international achievements, including patents, internationally-refereed research studies and international academic and professional accreditations. The Board’s objectives are in harmony with those of KAU in that they help forge more strategic alliances and partnerships with international academic, research and industrial organizations, improving the University’s research and academic performance and enhancing its international presence and status.